Look behind the president on his desk. There is proof if there ever was some. I have been told that President Clinton was very proud of his Challenge Coin collection. (I wish we had done his coins for him. I’d settle for him just giving me one:) If you look carefully at the coins in the picture there is one that is clearly from the Military District of Washington. At the time we were doing some coins from there so, who knows? Maybe this is our moment of greatness. To see the portrait close up you can look here. Was President Clinton The First To Have A Challenge Coin? Most say that he was. Perhaps he was the first to call it that and use it in the usual way that Challenge Coins are presented. I hope so. I think he would like that. I have looked for an official George H. W. Bush Challenge Coin and can’t find one. This is a bit surprising but perhaps someone can find one and post it here. And while we are on the subject, I very much appreciate any corrections, additions and insights that others can offer. Just drop me an email and I will be quick to answer. But my amateur sleuthing work reveals this little tidbit from the official Whitehouse Gift Shop. They claim to have been making Presidential Coins “For nearly 70 years” !! They seem to be selling a version commemorating President Roosevelt. Since the gift shop was established by President Truman it is extremely unlikely that this is a historic coin but rather a commemorative one. They would be able to answer that question. Can We Trace Presidential Challenge Coins Back Even Further? Are we leaving the realm of classic challenge coins now? Perhaps we are. One does not have to look to far to find that presidential campaign coins go way back. As far as I can tell the first one I can find dates from 1824 and is attributed to Andrew Jackson “The Nation’s Pride”. It was made by the Scovill Company. There is one in the Smithsonian. (What a treasure the Smithsonian Museums are. No trip to Washington D.C. is complete without a visit.) But then I digress . Is this the real first one? I wonder if we know whether Andrew Jackson actually presented these or whether they were struck strictly as campaign items? My suspicion is that he very well might have presented them. Coins have always had a high perceived value. Both President Bush and President Obama have presented Challenge Coins. I have met several people who have The Times of San Diego printed a story in which they actually caught a picture of President Obama presenting a challenge coin to someone. You can read the associated story here. This is the first picture I have seen of a president actually palming the coin and presenting it so they may well have a first. I have been told that the President often presents coins to the families of fallen service personnel. One article I found said that he often left his challenge coins at he graves of fallen service personnel. I am not convinced of this. He did leave them at temporary memorials for some soldiers who were killed in action but they were destined for the families of the fallen. For what it is worth, my opinion is that this is a great act of kindness and I am glad he does this. So How Do I Get a Real Presidential Challenge Coin? I wish I could help you there. (We would be honored to make them for the president. Right here in the USA if he wished but we don’t..for now though hope springs eternal) And that brings me to the answer to this question. If you want a presidential coin, and you want to be certain it is the authentic coin that he presents, you have to do something good and get one from him. A quick check of ebay shows dozens of “authentic” presidential challenge coins for sale. Define authentic you ask? My definition of authentic is that you have a coin which was actually presented by the president to someone. Nothing else. Using this definition, I would be very very skeptical of any coin for sale on ebay attributed to the president. That is to say that unless the seller is willing to give you a certificate of authenticity, detailing where, when and why the coin was presented and to whom, I would not pay much for it. This is not to say that the sellers are not telling the truth. (You deicide;) It is to say that it is highly unlikely that a member of the Whitehouse staff would get several Presidential challenge coins and then offer them for sale to someone who then will resell them. That would be a good way to get seriously fired if not arrested. Look. It would not be hard for any unscrupulous coin manufacturer to either knock-off or create a fake Presidential Challenge Coin. We are not going to do it because we value our reputation and we respect the office of the president and the right of the president to keep his coins as special as they ought to be. (We never offer coins we have made for others for sale to individuals as a matter of integrity.) And we think very little of companies who would profit from deceiving people into believing that what they are selling s a “real” presidential challenge coin. So what I am telling you, as someone who has made coins for going on two decades, is that you should be vary careful about buying any collectable challenge coin, not to mention a presidential one. Do your research and buy very carefully. If you just want a presidential coin to look at and enjoy then pick one that you find attractive and enjoy it. Just don’t expect it to be “real” unless it passed from the president’s hand and that this can be documented. 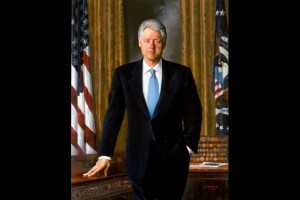 I hope the tradition of Presidential Challenge Coins that President Clinton started continues. It is a great token of Presidential esteem and the people who are fortunate enough to be presented one from the man himself, will treasure it for a lifetime and leave it as a family treasure for generations to come.